Is being something and not any other thing a necessary and (the only) sufficient condition of existence? I'm working on something close to the idea of Apoha, but in an ontological sense. I suppose that the answer is yes, since: a) it's necessary, because otherwise one thing would coincide with another, and b) sufficient, because it exhausts all possible relationships; if one thing is not all the others, it can only be itself. I.e. this chair is exactly what it is because it is not a table, a mountain, a mere mental representation, something I can not sit in and so on. I use 'thing' in a fairly loose way here, to include objects such as buildings, countries, and stars; and events such as the extinction of the dinosaurs, plane journeys, and the death of Hegel. I use necessary as a condition that must be fulfilled in order to make a states of affairs true. If something is not different from any other thing, it can't be itself. I.e: if this rabbit is not different from that duck, it's not a rabbit, but a duck. I use sufficient as condition that, if satisfied, guarantees the truth of a states of affairs. If one thing is not any others, it can only be itself, and it need no more requisites for being so. I.e. this rabbit is not that table, the number seven, France, the animal I'm not watching now, an idea, a rabbit outside my room, a ghost etc. This definition does not seem to account for becoming. Each object, in fact, is taken into account as an isolated spatio-temporal fraction, as in a sequence of stillshots. We can say, however, that even "becoming" must be different from anything else in order to be what it is. i.e I can consider the whole "motion of this arrow from my bow to that apple" like any other entity, and to assert that its existence is due to the fact that it's not an apple, it's not a motionless arrow, the number 32, a red nose, France, an itch, the arrow in an instant t1, a ghost, falling in love, 100$ ... every identity has vague limits, from the movement of an arrow to a pile of rocks or a brick – and only differences as stated above seems to fully account for any single identity. Is the following an accurate statement of your position ? It does not use the terms, 'necessary and sufficient condition', but it appears to connect easily with the terms of your question. The Buddhist theory of apoha is a counter-part of the realist theory of universals. According to this theory words and concepts are dialectical by their very nature. They proceed on the basis of negation. They express their own meaning only by repudiating their opposite meaning (*). When a word or concept is uttered, it at once means what it is not. For instance when the word "cow" is uttered, it at once means that it is not a "non-cow". The apprehension of a cow depends on the exclusion of all those things which are non-cows. The cow and the non-cow are mutually exclusive terms. Cows are completely different among themselves. There are not even two cows which are similar to one another. But in contrast with lions, elephants and horses, they are similar. It is this similarity which generates the wrong notion of identity, universality or commonness. In fact the human mind is incapable of apprehending all the innumerable particulars in their own individuality. It forsakes their difference and apprehends only their similarity. Suffering as we do from transcendental illusion we do not know the real nature of things. We impose a uniform and undifferentiated form, which is a mental construction, upon things which are entirely different from one another. Owing to transcendental illusion we forget this imposition, regard it itself as a real thing and say that it is eternal, all-pervading etc. This doctrine of "exclusion" or "negation" is known as the doctrine of bhedagraha, apoha, anya-vyavrtti, and atad-vyavrtti. Kamalaslla, explaining the doctrine of apoha says that ? the one uniform, non-different form that is imposed upon things proceeds on the strength of the apprehension of things in the form of the "exclusion" of other things and it, being itself of the nature of exclusion or negation of other things, is mistaken by people under the spell of illusion to be one with that which is excluded by it. It ultimately brings about the apprehension of the thing excluded from others ? (Chhote Lal Tripathi, 'The Role of Apoha in Dignāga's Theory of Knowledge', East and West, Vol. 25, No. 3/4 (September-December 1975), pp. 455-470 : 455. The apoha (the external illusory object) is in the nature of exclusion of others for three reasons ? (1) It is commonly applied to both existence and non-existence; (2) It brings about similarity between the extremely dissimilar; and (3) It is experienced as such (i.e.) having the nature of exclusion of other. How would you describe "being something and not any other thing"? One thing can be many things to many people. In the example from Geoffrey Thomas of cow and non-cow, there are many definitions on what that can mean. City dwellers will call anything "cow shaped" a cow, even though the word "cow" means a female bovine that has bred. Male bovine are bulls, and neutered male cattle are called steers. Personally, I also call them steaks, burgers, and lots of other tasty food, as well as leather. Some people might define me as a cow, which would be someone who stuffs their face with food. Some people call them slotted screw drivers, while others call them flat bladed/head screw drivers. I call them small pry bars, box cutters, letter openers, chisels, a small hammer, an awl, hole finder, and even juggling prop, among many others. Just because something is supposed to be one thing, it doesn't mean it can't be other things as well. The chair you mentioned can be a short table, if you sit on the floor, or a foot stool. It can also be a door jamb, a shelf, foot rest, and has a host of other uses. Add a sheet and a small child's imagination, it can be a mountain or a tent. I would think, due to the wide ranging use of items and the inaccurate descriptions that language tries applies to them, that to be "something and not any other thing" is next to impossible. Is there anything that can't be used for something other than it was intended for? Even a mind or talent can be used or wasted. I would also think that having a definition is good enough for something to exist. We have definitions for things that we aren't sure physically exist (like unicorns and certain subatomic particles), but they at least exist in the imagination. Being human isn't just one thing. Being human means being lots of things. I should also explicitly mention that the "thing that is defined" can be redefined as time goes on. A cow was once "something else" in that it had to be a heifer (unbred female bovine) before it could be a cow. A steer was a bull, until it is castrated. 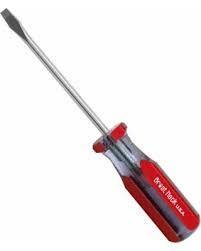 Even a small pry bar was a screw driver, until I use it to open a can of paint, then it turns into a stir stick, then a hammer (to put the lid back on), and finally turns back into a screw driver when it returns to my toolbox. According to someone else's philosophy, I should be using different tools for each step. I actually have a paint can opener, many wooden stir sticks, and a couple of hammers, but why go find them when I have my all-in-one tool? Sure, the real stir stick does a better job, and I might usually use one, but maybe I just need to check if the paint is still good. Language is used as a way to describe what we perceive and what we perceive can become knowledge. Philosophy is defined as "the study of the fundamental nature of knowledge, reality, and existence", so a case can be made that philosophy is a study of the descriptions of how people perceive knowledge, reality, and existence. Two people can witness the same thing, but from different perspectives, and gain different knowledge. For instance, one witness of a stabbing might "learn" to not trust people of a certain skin color, while another might "learn" not to go to that part of town after dark, while yet another might "learn" not to shout profanity at someone who has with a knife. Get these three people in the same room, and they will use language to try to convince the others of how correct their knowledge is. If I tell you that the little gooey spots on the bottom of your mouse and attached to your mouse pad is actually dead skin cells and oils from your hand, as it rubs against the surfaces of the table and mouse, isn't that going to change your philosophy on hygiene at your computer desk? I likely just used language to cause you to cringe away from your mouse, maybe grab some Lysol, and possibly even to never eat at your desk again. But does usage define the item or the item define usage? A screw driver was made for a specific use, hence the name and definition, but I'm redefining by my usage. It didn't go through any metamorphosis while I was using, it was still the same thing I pulled out of my toolbox. It necessary but not sufficient for things that are determinate and particular; and not for that which is indeterminate. Not the answer you're looking for? Browse other questions tagged logic metaphysics ontology being or ask your own question.